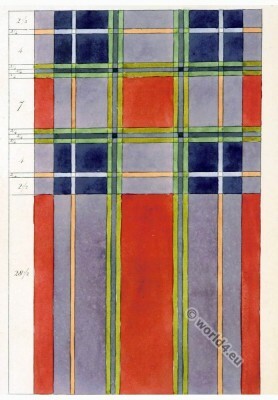 Tartan pattern worn by the Earl of Inverness. Home » Tartan pattern worn by the Earl of Inverness. Pattern of the Tartan worn by His Royal Highness The Duke of Sussex as Earl of Inverness. This entry was posted in 19th Century, Fabric, Scotland and tagged Textile design, Traditional Scottish National Costume on 12/1/15 by world4.